Steven Miles, MD, is an expert on medical ethics, human rights and international health care. He can speak to the intersection of health care and human rights in the world including medical professionals’ involvement in torture, efforts to hold them accountable and forced feeding in US war on terror prisons. Miles is a professor of medicine and bioethics. He has served as the chief medical officer for a Cambodian refugee camp and worked on AIDS prevention in Sudan and on tsunami relief in Indonesia with the American Refugee Committee. He serves on the board of the Center for Victims of Torture and is the recipient of the Distinguished Service Award of the American Society of Bioethics and Humanities. He is the Moderator for Bioethics International, a group of 600 bioethics faculty from 55 countries. 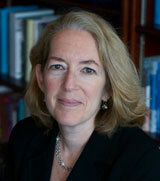 Susan Wolf, JD, is a professor of law, and medicine & public policy. Wolf is also the Founding Chair of the Consortium on Law and Values in Health, Environment & the Life Sciences and the Founding Director of the Joint Degree Program in Law, Science & Technology. Professor Wolf is available to discuss topics in health law, law and science, and bioethics, including genetics and genomics; death and dying; assisted suicide and euthanasia; assisted reproduction and women's health care; and managed care.